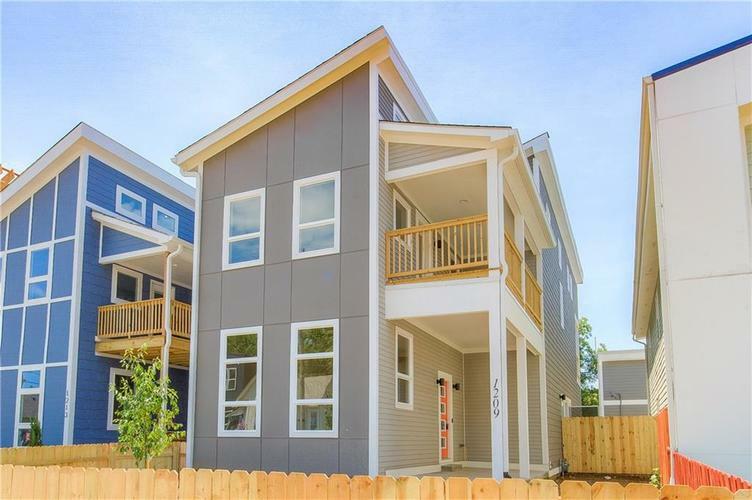 Contemporary Comforts and Custom Construction are offered here in this Fountain Square All New 3 Bedroom. Open Concept with Large Rooms. The Kitchen's Elegant Cabinetry is Accented by the Modern Glass Subway Tile and Boasts an Oversized Center Island w/ Sink + Rich Granite Tops Throughout. Spread Out in the Great Room Flanked by Private Patio On One Side and Fireplace w/ Redwood Accents on the Other. One Of A Kind Staircase Takes You to the Bedrooms and multiple private decks Above. All with Soaring Vaulted Ceilings, and high end finishes! Incredible price per sqft for quality construction such as this!